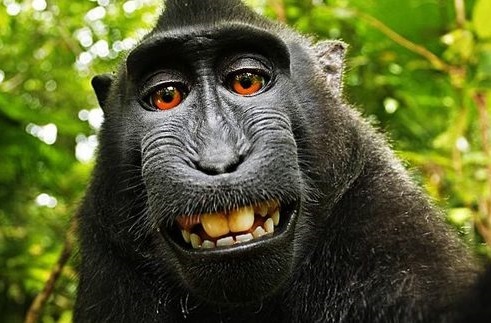 There is nothing more entertaining at the Yau Law Firm than stumbling upon a fun intellectual property question: If a monkey takes a picture of itself–a”selfie”–in the forest, does it own the copyrights to those photographs? According to British photographer, David Slater, it should. Back in 2011, Slater traveled to Indonesia to photograph the Celebes crested macaque, a type of primate with a long snout and auburn-reddish eyes. 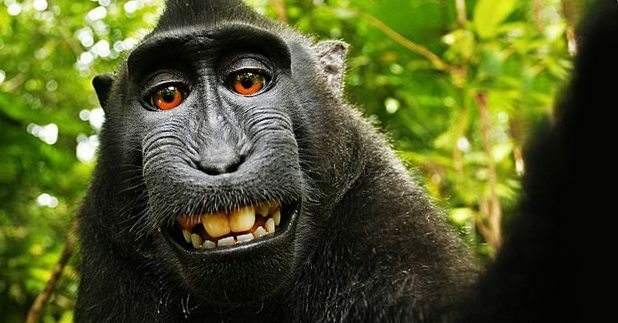 During the trip, one of the monkeys took off with Slater’s camera and snapped hundreds of photos, a few of which turned out to be beautiful self-portraits made viral on Wikipedia (see the link here). Under copyright law, generally, the creator of the intellectual property is the owner and holder of the copyright. But, in this scenario, Slater did not click the shutter. The monkey did. Slater states that this issue has caused a financial problem for him, given that he was financially invested in the production of the photographs: he spent approximately £2,000 on the trip to Indonesia, another £5,000 on the equipment, and prior to Wikipedia posting the photographs, was earning quite a bit of money selling these photographs. To find out more about copyright laws and how ownership of copyright can boost your business value, contact us today!